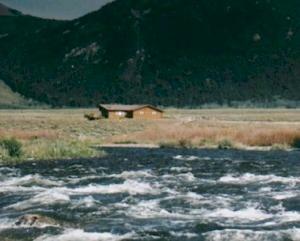 Hook and Horn is a fisherman's dream, located along the Madison River, between Raynolds Pass Bridge and Quake Lake. It began as 20-acre parcels, but many have been split into 10 and 5-acre lots. Some of the lots are on a bench overlooking the river. Very few of these properties come on the market, but occasionally you can find one of these gems offered for sale. 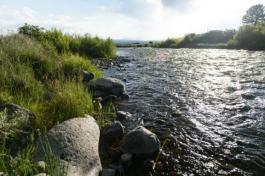 This beautifully set 9-acre parcel is one of the last "un-built" river lots in the Hook and Horn subdivision on the upper Madison River. Nestled at the base of the mountains in the Madison Range near Sheep Mountain, this lot has some of the most dramatic views on the Madison River. In addition, there are roughly two miles of river (upstream of Raynolds Pass Bridge to Quake Lake) that offers some of the best wade fishing in Montana (float fishing this stretch is prohibited). Just a mile drive off Hwy. 87, it is easily accessible with no gates. Located across the river from the famous Slide Inn, this lot borders a 23-acre strip of common area that borders the river. This lot is being sold by a 25-year Hook & Horn homeowner who would welcome a good neighbor. Possible owner financing available.